In conjunction with the opening of the Circle Line network stages 4 & 5, SMRT is hosting a makan session where 20 lucky readers get to join me and eat for free. This is a great opportunity for me to show you where are the best food places near the Circle Line stations. 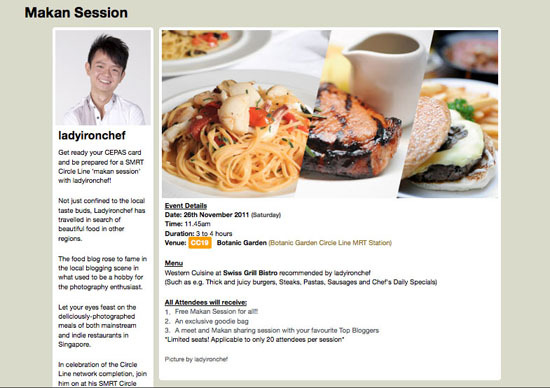 I’ll be organising two separate food outings on the 26th Nov (Botanic Garden station) and 14th Jan (One North station). Register here (remember to choose the right dates) and let’s go on a food adventure! Would you know when we can receive reply?